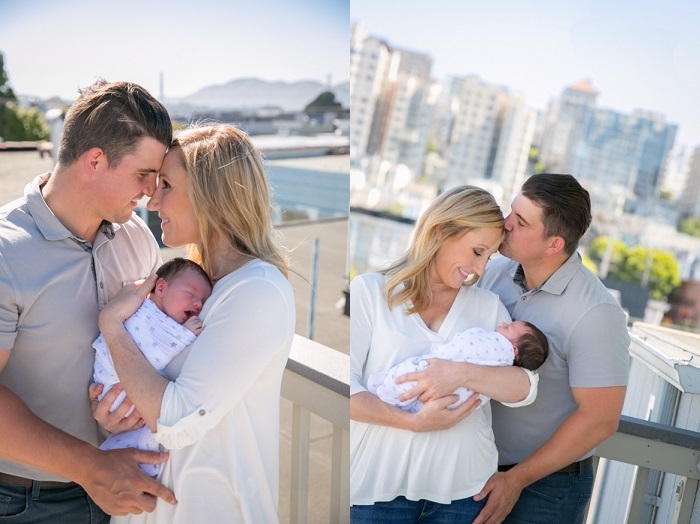 Inspiration: As a lifestyle photographer, photographing San Francisco newborns is always such a fun adventure. I love being given the privilege of taking photos in a family’s home. There is always a sense of joy and nervous anticipation I feel waiting to see the character details that make up so many of the old San Francisco buildings, and figuring out how to use the elements of a home as the backdrop for a lifestyle session. Favorite Element: I was so excited to meet and photograph Coco. Two years earlier, I got to take her parent’s engagement photos in San Francisco. 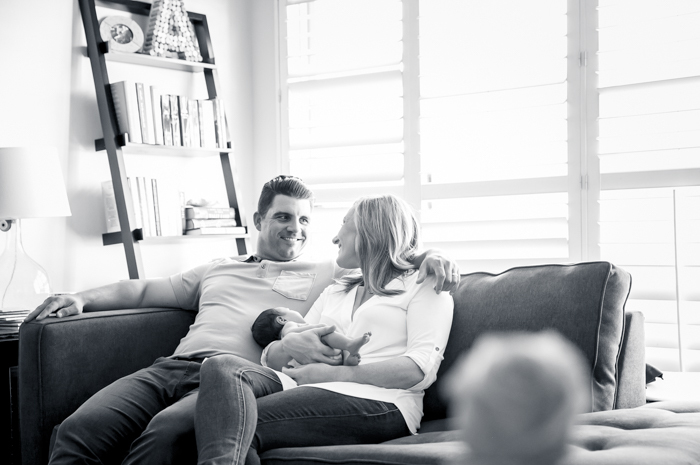 And now I got to photograph them with their precious new daughter. It is so fun to watch families grow from behind the lens. Biggest Challenge: Space! Often, San Francisco flats and apartments are cozy and compact. This doesn’t always leave much room for distant shots. However, my photography style leans towards tight, close up photos of my subjects, and cozy San Francisco apartments are the perfect space to get creative with the close-ups! A good window can add variety to a gallery, as well as “outside-looking-in” shots from outside a bedroom. And of course, if a family happens to have a city view or a rooftop terrace, I take advantage! 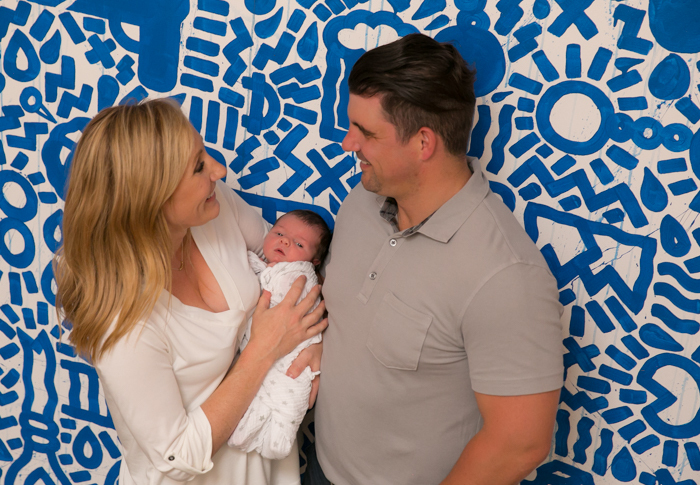 This family even had some great vibrant art in their stairwell that we decided to use as a backdrop as we were venturing to the roof! Final Thoughts: I have learned to enter homes with a fresh pair of eyes each time. I try to look for the unique details of the building, the way I can play with perspective in tight spaces, and how I can use the home as a way to tell a family’s story. Whether photographing in an expansive great room or a cozy San Francisco apartment, let the home and the love within it tell the story! 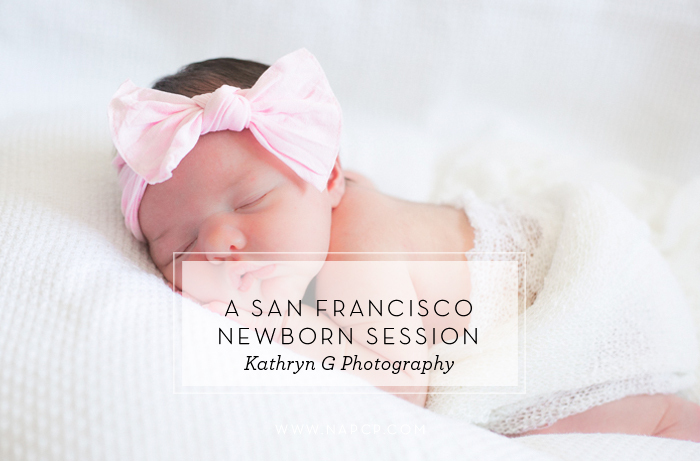 Kathryn Ghiraldini is based in Marin and San Francisco, and specializes in newborn, family, maternity, and senior lifestyle photos. She considers herself in the business of chaos choreography, and she loves capturing the genuine, unplanned moments! Kathryn is a wife, new mommy, and teacher. Please visit Kathryn’s NAPCP Member Profile here, and visit her website. Wow! I will be sure to use and recommend Kathryn Ghiraldini! Her photography and her words are so fresh and harmonious! Thank you for the article.